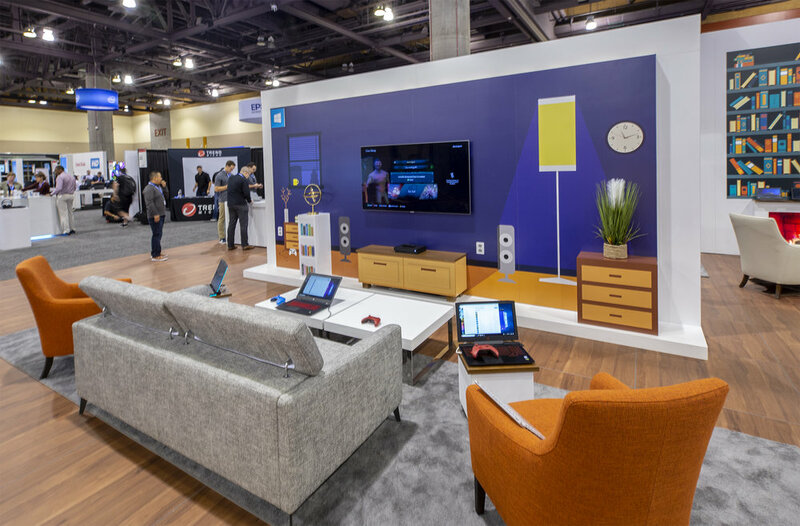 ImagiCorps was pleased to partner with the Microsoft Evangelism team to design, produce and activate at this year’s Best Buy Holiday Leadership Meeting in Phoenix Arizona. The attendees were comprised of Best Buy Leadership including Store Managers, GM’s and Corporate Executives who engaged in a variety of breakout sessions, team-building activities and hands-on demos over the course of the three day event. 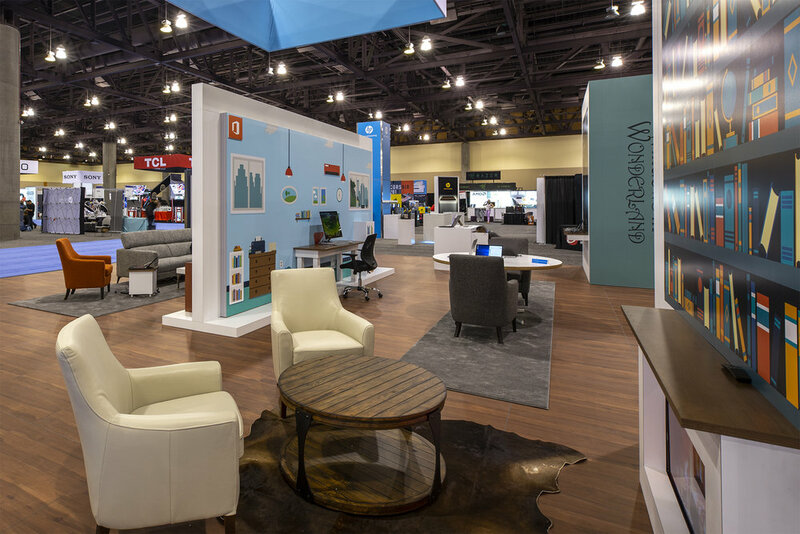 The 40’ x 40’ vendor booth was a multi-vertical approach showcasing Windows, Surface, Xbox and Office. The Surface area was highlighted by imagery of the newly announced Surface Pro 6 device lineup as well as Surface Headphones, which were on display for attendees to demo. 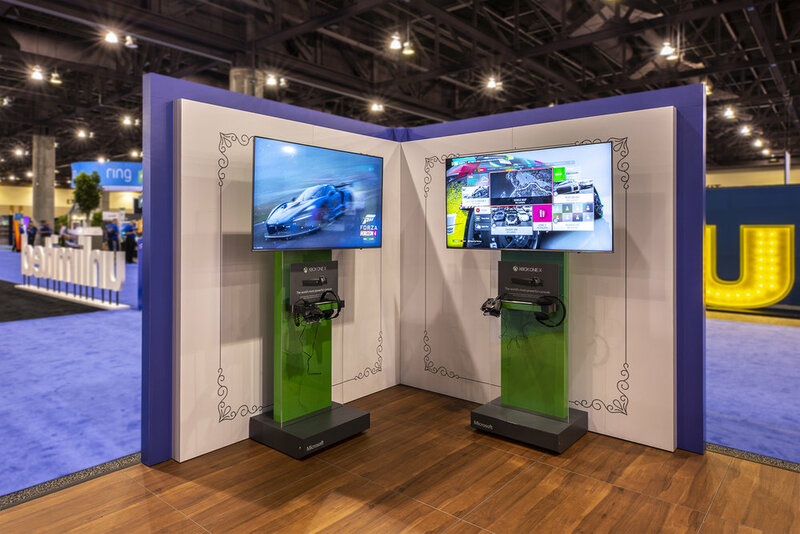 ImagiCorps also supported a 30’ x 30’ Gaming Lounge where 18 Xbox One Retail kiosks were setup for interactive gameplay including titles such as Forza 4 Horizon, Playersunknown Battleground, Shadow of the Tomb Raider and Fortnite. Both unique events provided attendees a perfect change-of-pace from the more info-driven breakout sessions and meetings they experienced throughout the balance of the event.